Nova Scotia has launched two new business immigration streams for international entrepreneurs and international students who have graduated from its provincial post-secondary learning institutions and have started their own businesses. These streams are effective starting January 1, 2016.
Business professionals who are interested in starting or buying a business in Nova Scotia and wish to settle in the province may be granted an immigration opportunity for themselves and their families under the Entrepreneur Stream. 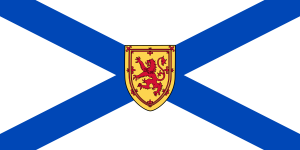 To be selected for the provincial nomination, eligible candidates are first required to submit an Expression of Interest to the Province of Nova Scotia. Received applications will be scored based on the points system of the program, and top-scoring candidates will be selected and invited to formally apply to the Nova Scotia Nominee Program. Successful applicants then sign a Business Performance Agreement (BPA) with the province and become eligible to apply for a two-year work permit that will allow them and their family to settle and develop their business in Nova Scotia, complying with the conditions of their BPA. Once the conditions of the Business Performance Agreement are met, the candidate may apply for the provincial nomination for Permanent Residency. Nominated applicants receive the right to apply for permanent residence in Canada. A developed Business Establishment Plan. Note: Only certain business activities qualify under the Entrepreneur Stream of the Nova Scotia Nominee Program. Proposed business activity will be evaluated for its potential to contribute economic benefit to the province, among other eligibility criteria. The International Graduate Entrepreneur Stream offers an immigration opportunity to international graduates of Nova Scotia’s universities or community colleges who have been operating their own business initiatives in Nova Scotia and wish to settle in the province. To be selected for the provincial nomination, eligible candidates are first required to submit an Expression of Interest to the Province of Nova Scotia. Received applications will be scored based on the points system of the program and top-scoring candidates will be selected and invited to formally apply to the Nova Scotia Nominee Program. If the applicant satisfies the program criteria, they will be nominated for Permanent Residency under the Nova Scotia Nominee Program; nominated applicants receive the right to apply for permanent residence in Canada. Meet the minimum language proficiency standard in English or French. Note: Only certain business activities qualify under the International Graduate Entrepreneur Stream of the Nova Scotia Nominee Program. Proposed business activity will be evaluated for its potential to contribute economic benefit to the province, among other eligibility criteria. For more detailed information on the program requirements and application process please refer to Nova Scotia Immigration website. This picturesque province is nicknamed “Canada’s ocean playground” for its coastal location, boasting over 3800 islands. Nova Scotia is a popular tourist destination – its scenic images of fishing villages and lighthouses along the coastline can be found in travelers’ guidebooks all over the world. Fisheries are prominent in the economy and fabric of Nova Scotia – the taste of lobsters from the province is highly sought-after and appreciated across Canada and the world. Nova Scotia is one of the world’s leading producers of gypsum.